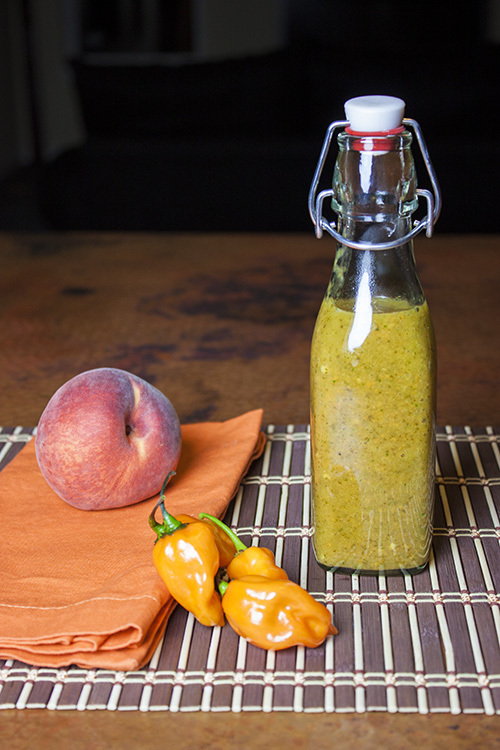 Plenty of heat and peach flavor in this sweet sauce. One of Patty's favorites. Sauté onion for 5 minutes. Add peach and sear for 1 minute. Add ¼ cup water and cook for 10 minutes until soft. Transfer to food processor and add peppers and ½ cup water. Process until smooth. Add salt, garlic, lime juice and pulse. Refrigerate until cool and then serve.